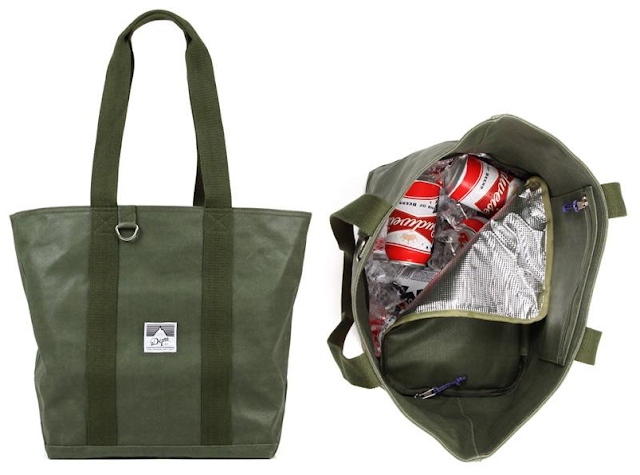 A cooler bag is realy a must have for the dog days of summer. We keep one in the trunk as you never know what gourmet treat you're going to come across, and we can't have all those goodies going bad can we? Also, as nice as a classic pick nick basket is, we really prefer to keep our food crisp and chilled, and let's not forget the cocktails, as only ice cold will do. You could zip to Walmart and get a souless and thoughtlessly designed one for a few bucks, but we doubt you'll be proud to walk to the park with one of those...or conversely, you could get a fashionable and quality product like the one above from DQM. You can see, learn and buy here.